I was lucky enough to go on a second trip this weekend, this one to the Roan Mountain area. After a long scenic drive through Erwin, TN. 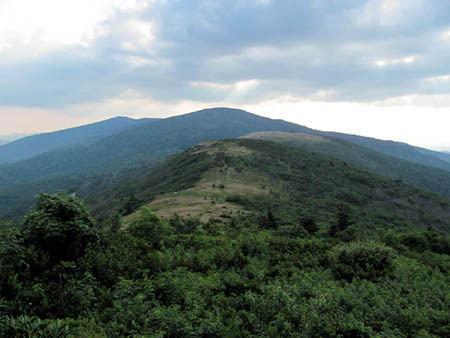 over Indian Grave Gap, then following 197 for a long ways through some very out of the way places to 226 then back around to Buladean, NC., by way of Bakersville, NC., we went to Hughes Gap Road which leads to the top of the mountain where the Appalachian Trail crosses before it heads down to Roan Mountain State park. We ended up at Carvers Gap around 5 that evening. The road to the top is now closed and will remain that way until this time next year as it seems some of the ‘stimulus money’ is being used to revamp things up there such as new bathrooms at the old Cloudland Hotel site, improvements to the overlook and area trails along with repaving of the road. It was a hot, dry day but clouds were building which promised to make for some decent sunset pics, so we headed North along the A.T. up and over Round Bald enjoying the newest trail relocation that I had not yet hiked. It is a very nice trail which now goes through the woods on the left side before coming out on the bald. Posted on 21 July '10 by admin, under RATtreks. No Comments. Greetings outdoor enthusiasts, waterfall, and blog fans. It has been awhile since my last report to which I apologize. This is due to a dirt bike accident on May 21, 2010 which left me with several busted ribs, damage to my right shoulder, and a knot on my head ! Apparently it takes ribs a long time to heal so I have been unable to do any kind of physical activity until now. I am still in a lot of pain and even sleeping hurts to the point of not getting much rest but I am slowly getting better and look forward to getting back out in the woods again soon. I did manage to attend Trail Days in Damascus, Virginia the week prior to the accident but I was getting sick with the flu at that time so I still had a lot of chest congestion when I wrecked the motorcycle so coughing with broke ribs has been very painful to say the least. It was really good getting to see all my friends and hiker-trash family again since last years event. 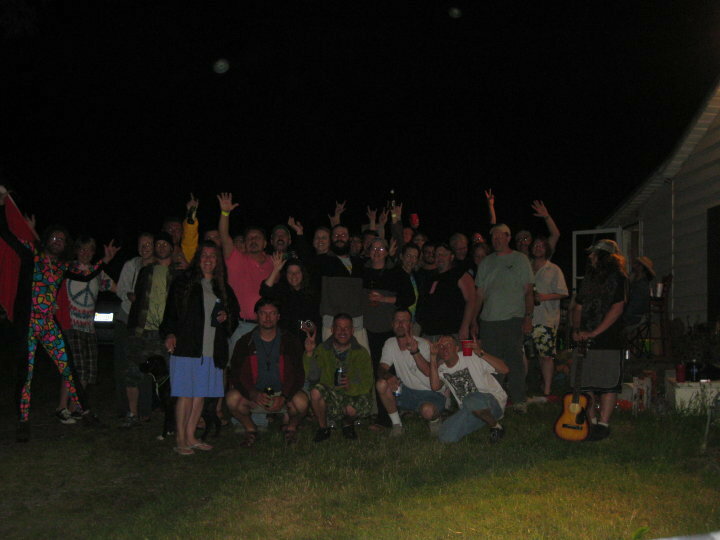 There were a couple rain storms but overall the weather was great and everyone had a good time. You can see pics of this years festivities HERE ! Posted on 9 July '10 by admin, under RATtreks. No Comments.